Ollie, a boy with Down syndrome, wants to have powers just like his superhero dad. The problem? With congenital heart defects, his father has no intention of letting his son get in harm’s way. Enter Meta-Makers, a company that promises to give powers to anyone who wants them, an opportunity Ollie can’t resist. Will he become the hero he wants to be or will his ambitions lead to the destruction of the person he admires most? From the start, young Ollie had an uphill climb. Born with the extra chromosome that marks the condition known as Down syndrome, and suffering the heart defects common to it, Ollie had more than his share of challenges. With grit and all the determination his little body could muster, he powered on through. Like all parents, Ollie’s mom and dad worried about him as he grew, fussed over his health and generally did all that they could to keep him safe and healthy. Like all kids, Ollie wanted to do more. The television commercial for Meta-Makers said that through cutting edge technology, they could take the most minute blood sample and use it to unlock the super potential in anyone’s genetic makeup. Given his dad’s status as the superhero known as Sentinel, Ollie thought that sounded like a great idea. He’d seen his father working hard to keep the world safe from any and all threats, and he felt like he could really do his part. I read comics to escape the mundane, to be entertained, and occasionally I even manage to learn a thing or two. Metaphase covered all bases quite nicely. 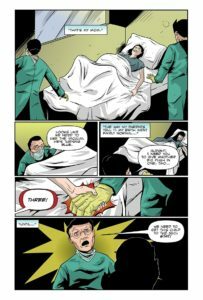 Chip Reece, creator and writer of this one-shot Kickstarter champ, has firsthand experience in dealing with both the internal and external challenges of Down syndrome. He’s seen the health struggles his own son Ollie went through, and he’s witnessed the (mostly) well-intended limitations imposed on Ollie and his peers. Mostly, he was very much aware of the fact that Ollie didn’t really have anyone to look up to in comicbooks, no one that he could look at and think, hey that could be me. 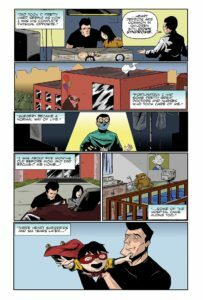 With a mission firmly in place, Chip Reece set about addressing that lack by concocting and writing Metaphase, and taking it to Kickstarter. The campaign was a success, and his idea became a comic under Alterna’s label. 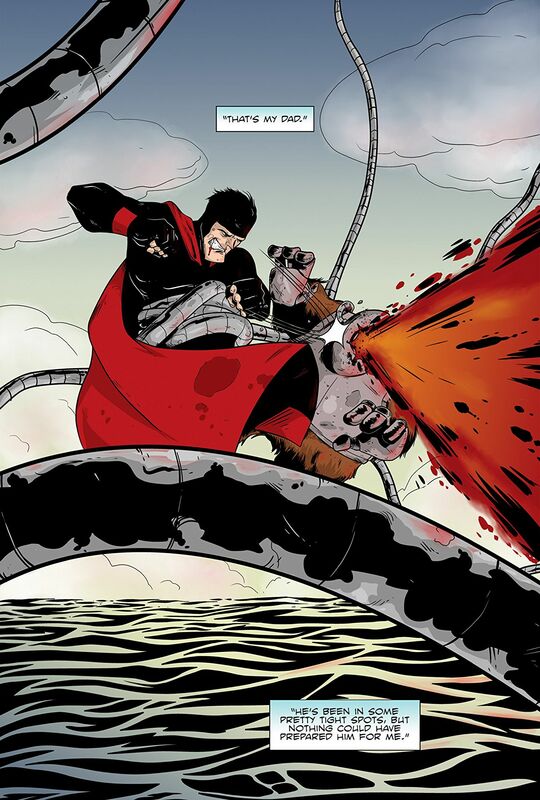 As pure entertainment, I happen to think that Metaphase works very well. The plot moves along at a solid clip, and nothing felt like it was there just to make a point, one of the stumbling blocks some titles hoping to educate fall prey to. Reece presents the facts of Down syndrome, addressing the challenges faced by kids carrying the extra chromosome, and points out that while there may be areas in which Ollie may have trouble, there are others where he excels. Like many children, Ollie doesn’t define himself by any medical condition or textbook definition. He wants to be able to try, just like anyone, and he chafes under the protective umbrella of his parents (it’s worth noting that most of that hyper-protective attitude stems from Ollie’s heart problems and the many surgeries it took to correct them after his birth, rather than the easier target of Down syndrome itself). Reece handles all of these points well, his story never coming across as an illustrated soapbox. What I think works especially well is his use of first-person perspective, with Ollie himself taking on the duty of narrator. 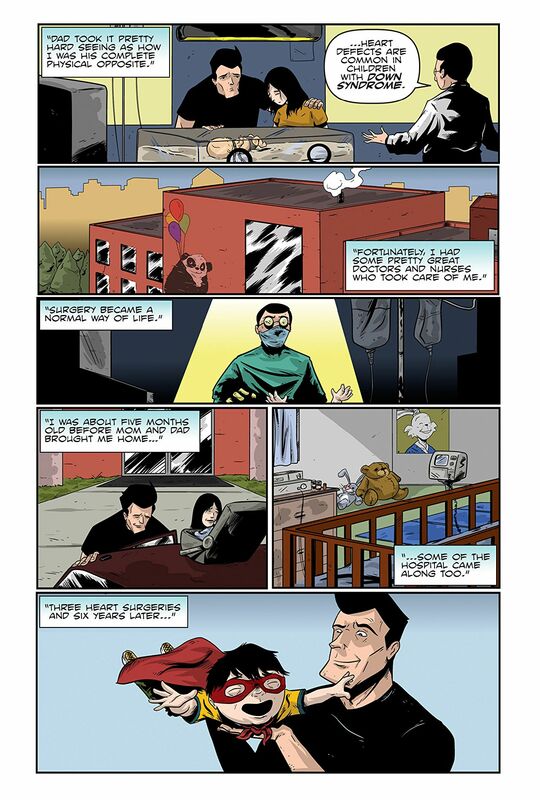 Kelly Williams handles the art for Metaphase, and his work is pretty solid considering his bio states that he’s most known for his work in the area of horror. It’s a pretty big jump from that genre into superheroes, with horror being done in a style more based in reality, showing what could be everyday people going about their business running from axe-wielding lunatics. Williams gives us plenty to look at, from Sentinel’s fight with the giant Humanicide (defender of all things both creepy and crawly), to the final showdown with the story’s Big Bad. The effects that Williams came up with for Metaphase are pretty cool, everything you could hope for in a superhero title, with crackling energy bursts and bizarre warping rifts opening up in midair. 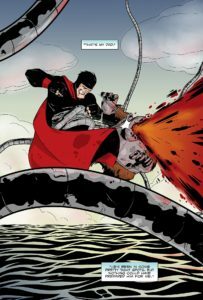 Overall the style isn’t one that you might see in most mainstream superhero titles, but it’s one that sets Metaphase apart from the herd. It’s dynamic, the action flowing very well through panels arranged to show both the detail of close up shots, and the scope of full page spreads. 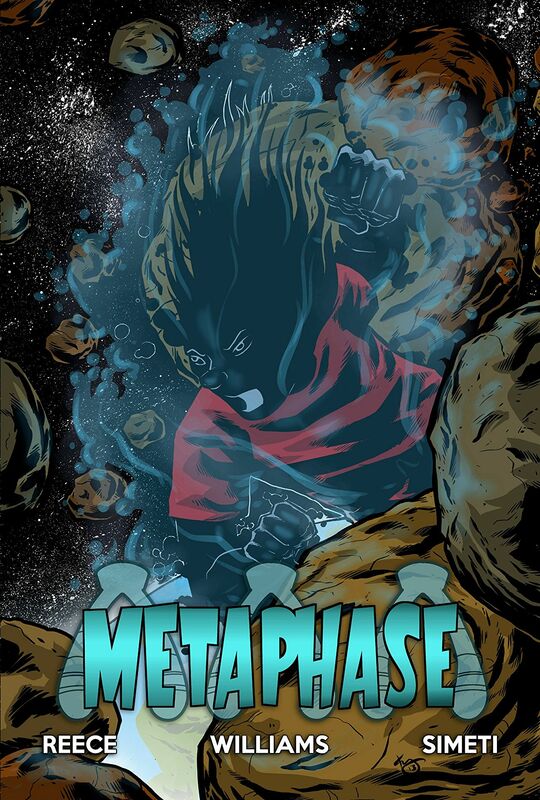 Metaphase is much more than a comicbook project used to deliver a message. It’s just a cool book that provides a story, with a couple twists along the way. As happenstance would have it, it also provides some good information and presents a template for how more titles could be more inclusive, particularly in the area of characters with disabilities.